Italian car manufacturer Alfa Romeo, which this year celebrates its Centenary, will be showcased as a featured marque at the 60th Pebble Beach Concours d’Elegance in California, USA on Sunday 15th August, 2010. Regarded as one of the most prestigious events in the motoring calendar, the Pebble Beach Concours d’Elegance is contested on the famed 18th fairway of the exclusive Pebble Beach Golf Links. Judged on their excellence, historical accuracy, technical merit and style, some 200 of the world’s most prized collector cars have been invited to challenge for the esteemed title of ‘Best in Show’. Alongside many exquisite, privately owned Alfa Romeos, a significant list of historic Alfas will make the trip from the Museo Storico Alfa Romeo in Arese, Italy to take their place amongst an assembly of clasics. A total of seven Alfa Romeo Museum cars will be on display at the Pebble Beach Concours d’Elegance - from the very first Alfa, the 1910 24 HP, to the radical 1952 Disco Volante spider. 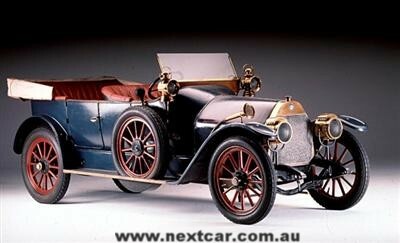 Built in 1910, the ALFA 24 HP was the first car to carry the ALFA badge following the establishment of the company in Milan on 24th June 1910. 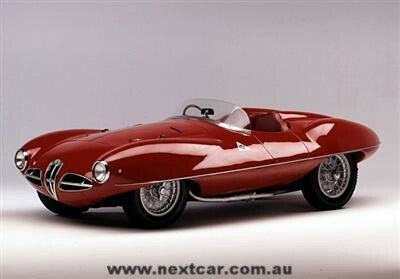 The 1952 Disco Volante ‘flying saucer’ spider, is quite a remarkable concept, aptly named because of its unique visual design, this prototype was not only pleasing to the eye but also returned excellent performance and handling thanks to a light weight body and an excellent power/weight ratio. Other legendary Alfa Romeos in attendance include the RL Targa Florio - winner of the 1923 Targa Florio, and the inaugural car to feature the famous Alfa Quadrifoglio Verde badge. The Gran Premio Tipo A, Alfa’s first single-seater racing car which won the 1931 Coppa Acerbo, and its successor, the Tipo B (P3) which included an aerodynamically developed version that proceeded to win the IV Internationales Avusrennen in 1934 with a winning average speed of 128 mph. In a joint celebration with this year’s Pebble Beach Concours d’Elegance, the 1938 Gran Premio Tipo 158 ‘Alfetta’ also celebrates a 60th anniversary - that of the first ever Formula One World Championship race, in which the Grand Prix racer finished first, second and third. Another Alfa Romeo legend at the event will be the 8C 2900 B Lungo. Built in 1938, and bodied by Touring, this light blue, practically production car coupe, won the 1947 Mille Miglia making it the 11th and final Alfa Romeo to win the famous ‘thousand mile’ race. The name ‘Lungo’ refers to the 8C’s long wheel base chassis design. With such an exquisite sample of Alfa Romeo’s heritage on show at the 60th Pebble Beach Concours d’Elegance, visitors will be assured of an experience that will demonstrate the passion the Italian marque is famous for.